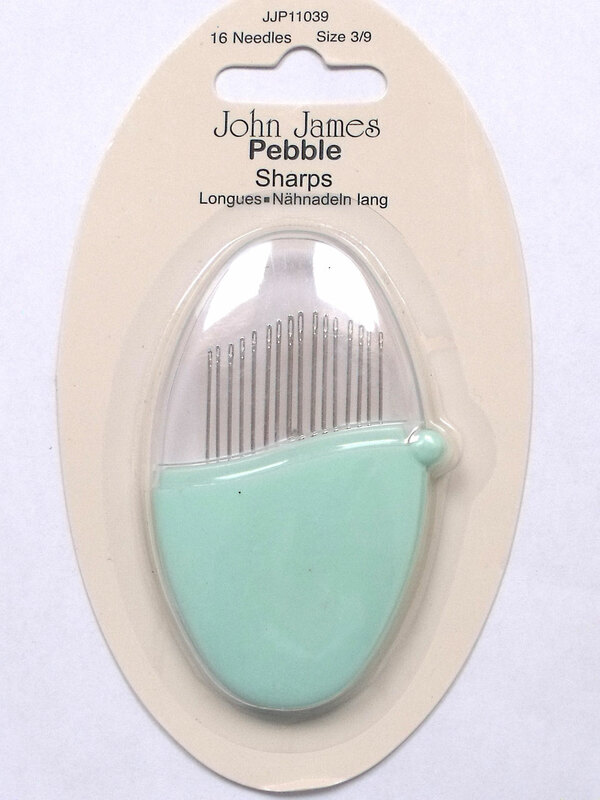 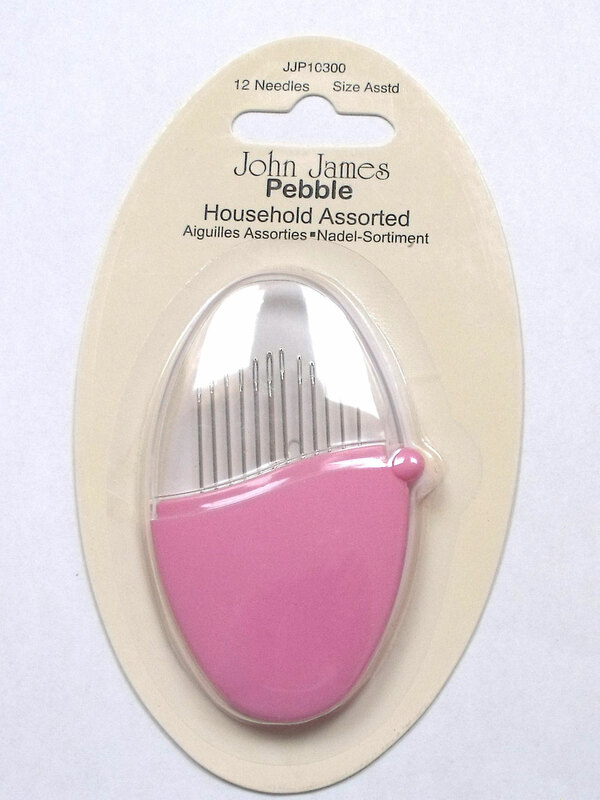 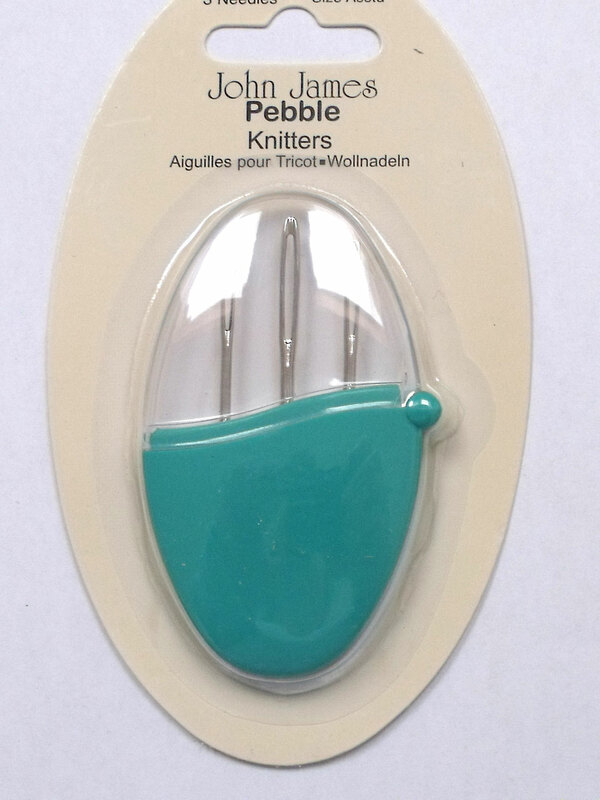 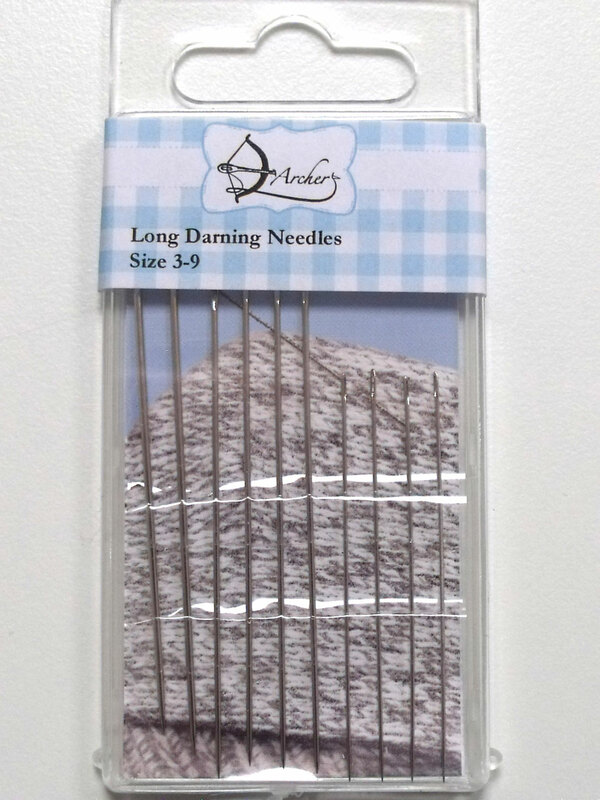 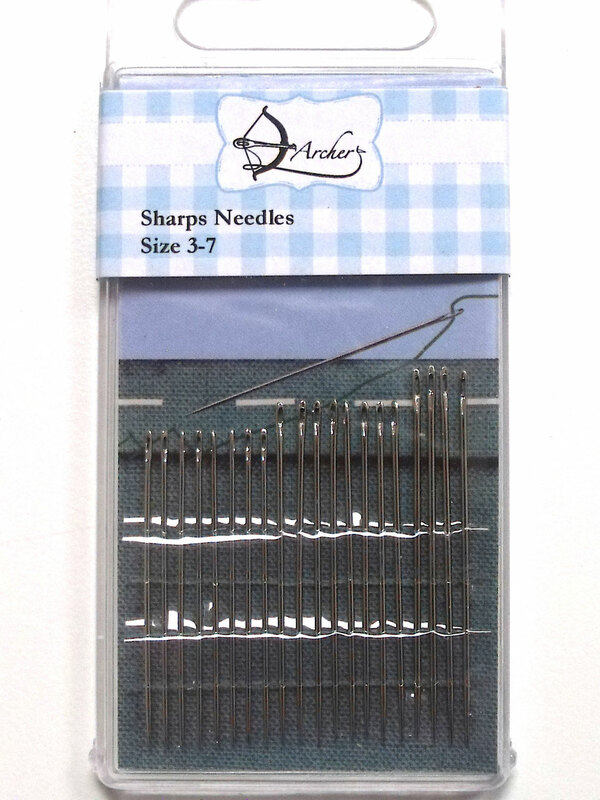 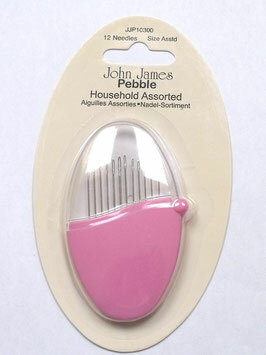 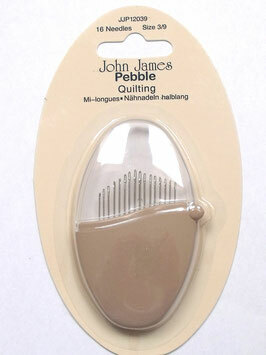 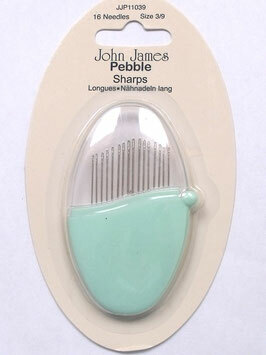 John James Pebbles are designed to store the finest quality hand sewing needles safely, with a quick flip lid making them instantly visible and easily accessible in a sewing box, craft bag or even a handbag. 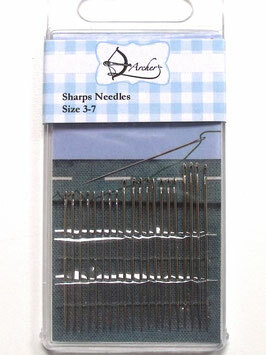 Archers are a good quality, low priced needles. Threaders selection of cotton threads, beautiful colours designed for patchwork. 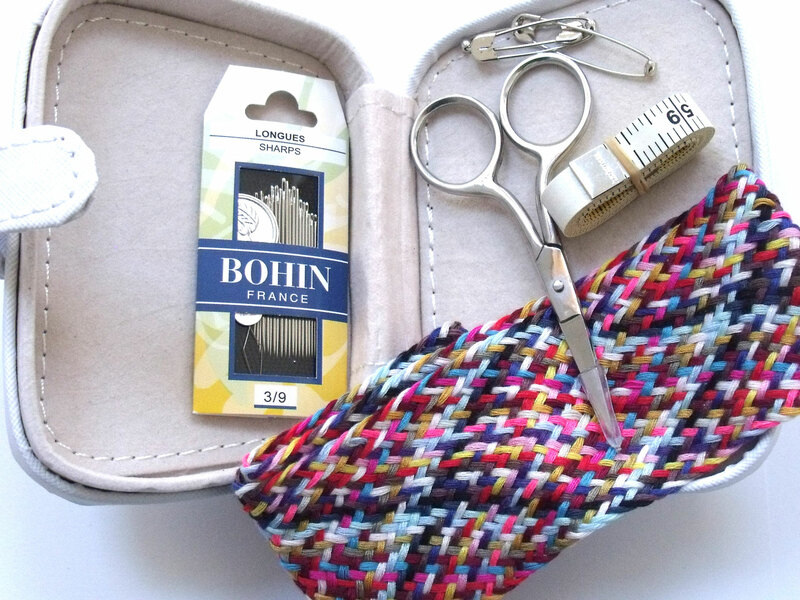 A small travel sewing kit contents: 1 x embroidery scissors, 1 x tape measure 60", 20 sharps needles asstd 3/9, 1 x braiding kit, 1 needle threader, 3 safety pins. 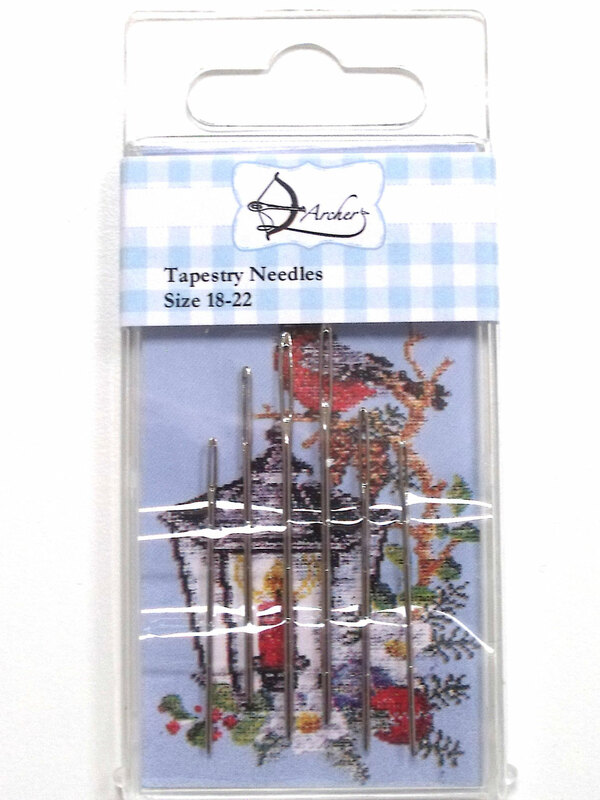 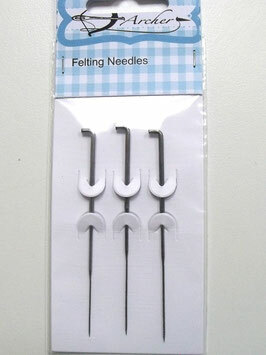 A collection of home repair needles, including: upholstry needles, sail needles, packing needles, leather needles and more. 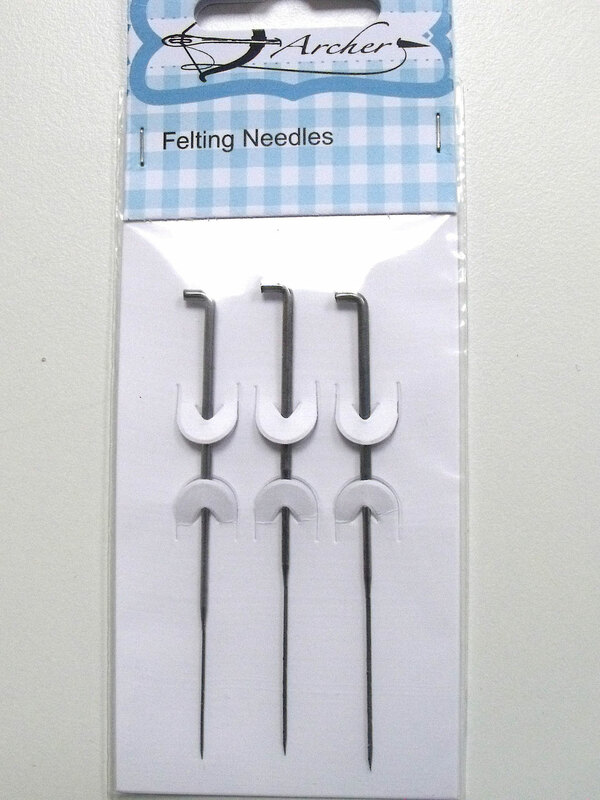 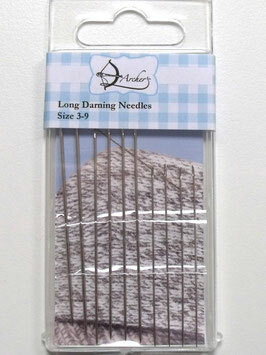 Felting needles - use carefully to catch and mesh fibres in the process of making felt fabric. 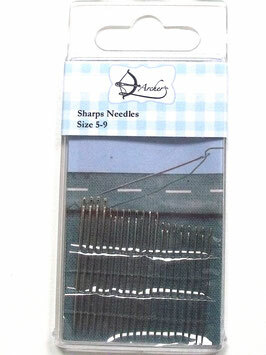 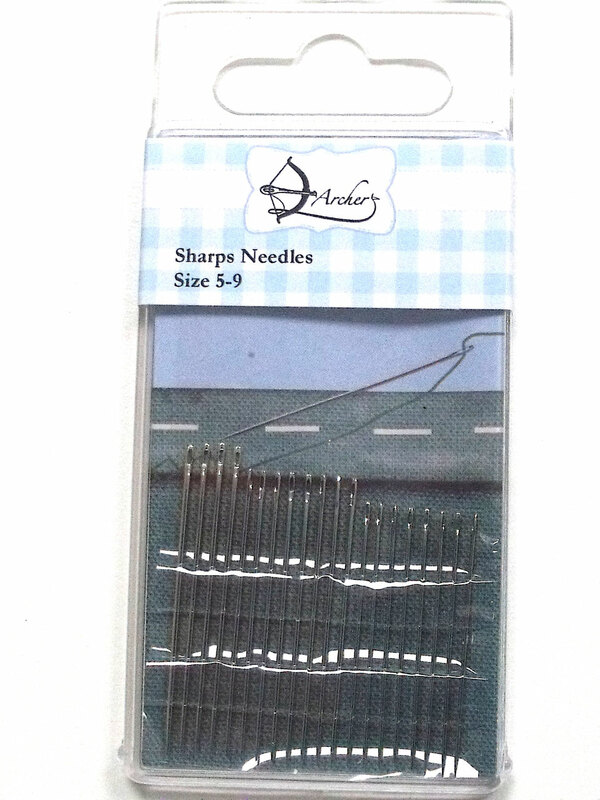 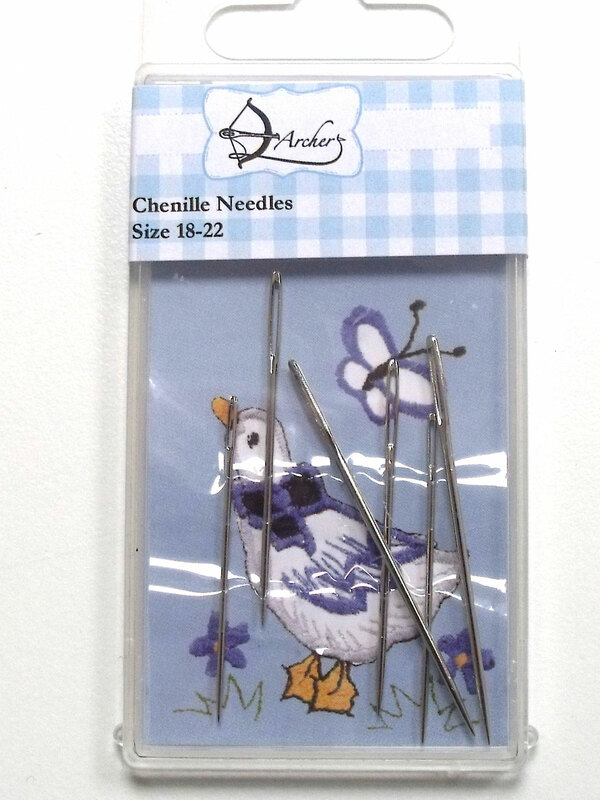 The point is sharp and is used in the art of crewel embroidery and ribbon embroidery. 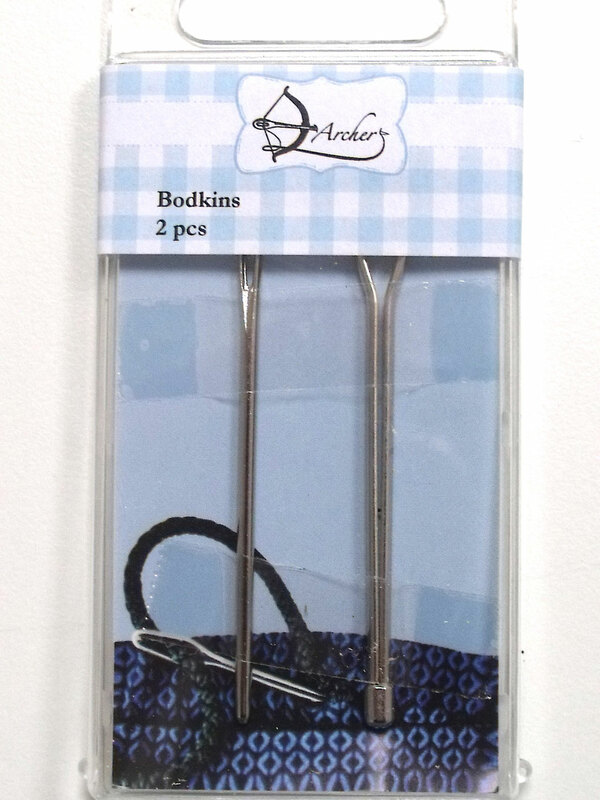 2 Bodkins - bodkins are useful for pulling cords, ribbons etc through channels or casings. 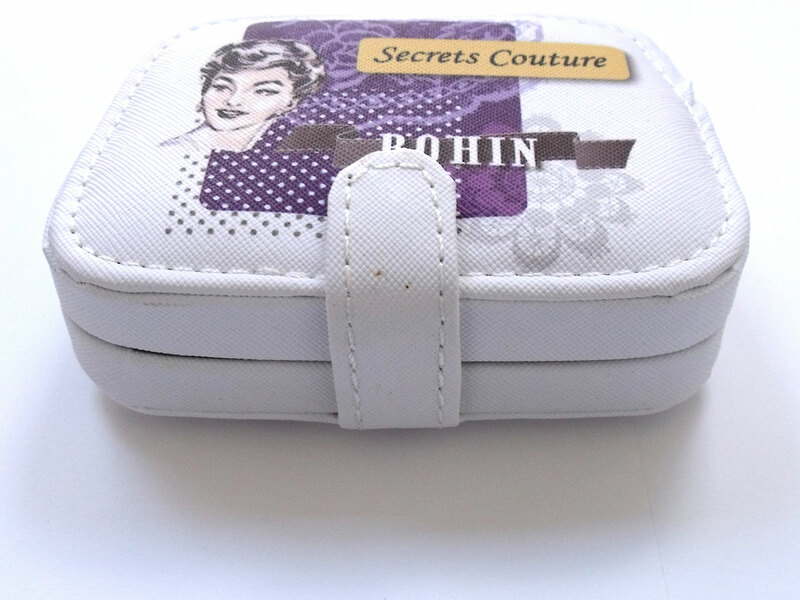 Contains 6 cotton thread reels each with 150m on. 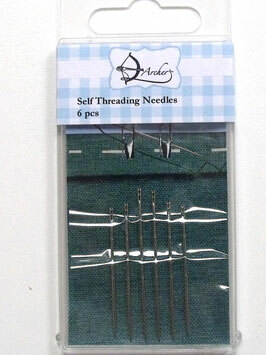 These threads co-ordinate perfectly with all our sewing projects. 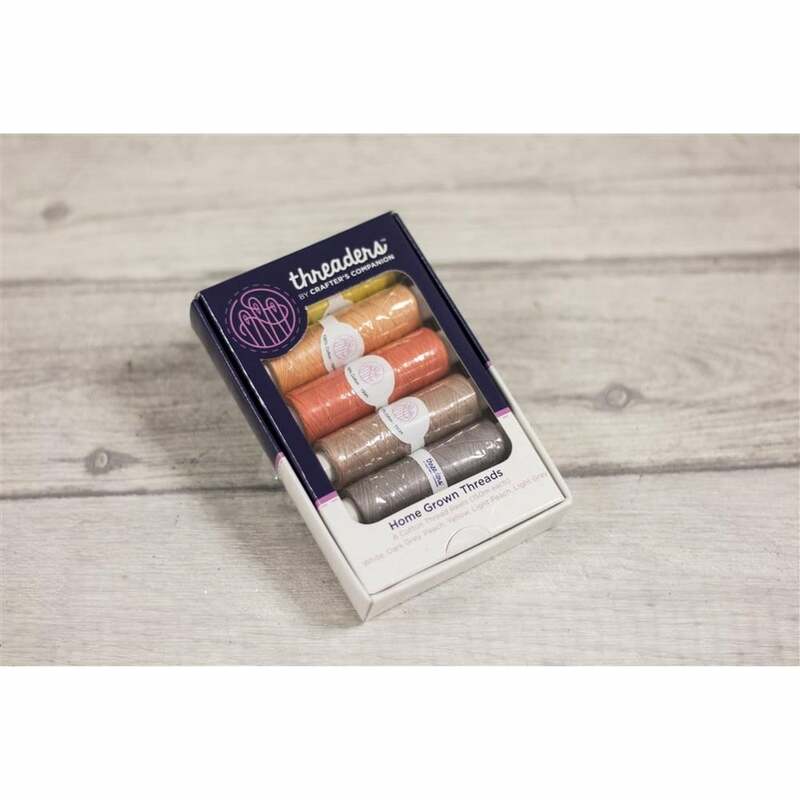 Within this pack you get 1 each of white, dark grey, peach, yellow, light peach and light grey. 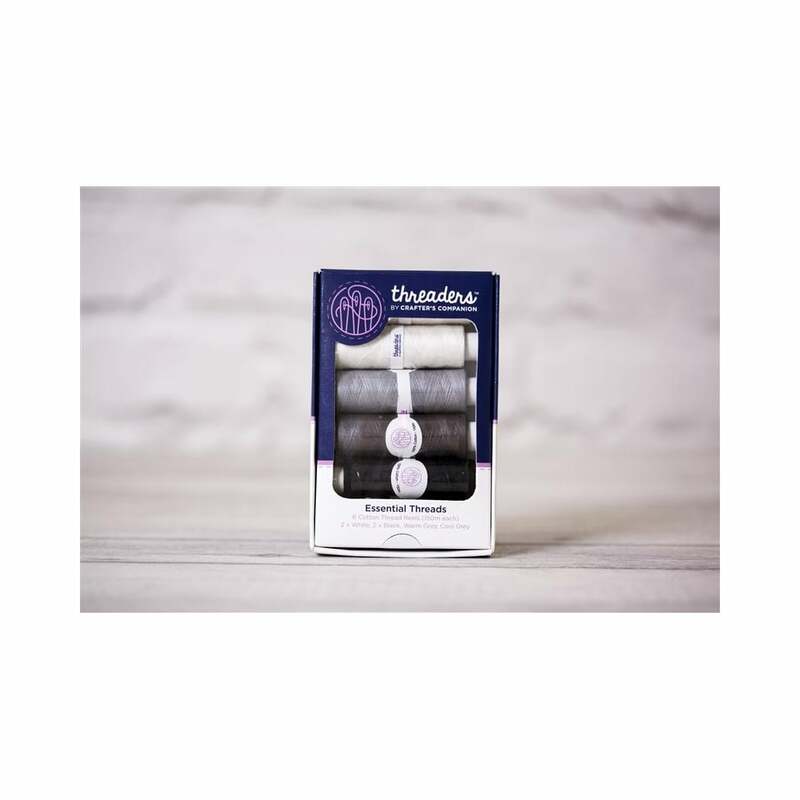 The thread box contains 6 cotton thread reels each with 150m on. 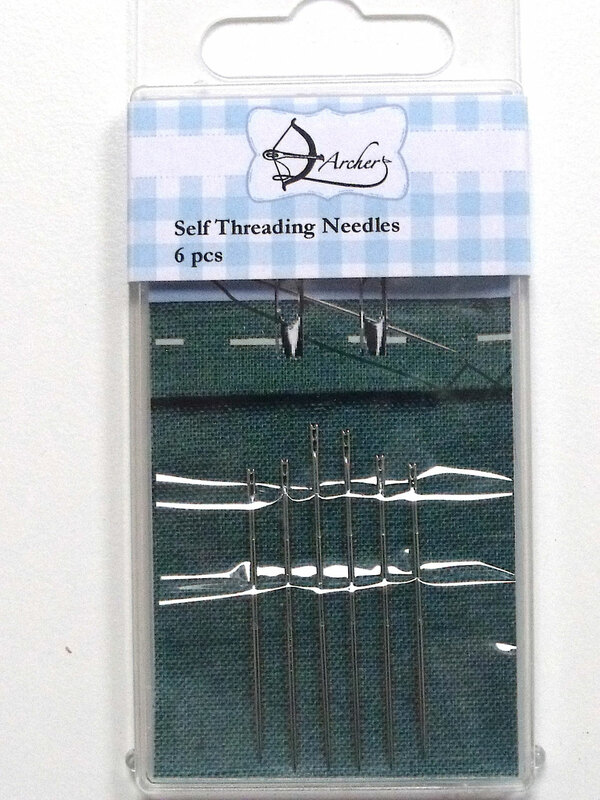 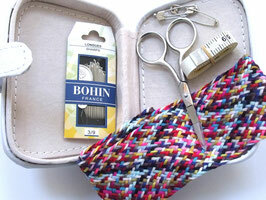 These threads co-ordinate perfectly with all our sewing projects. 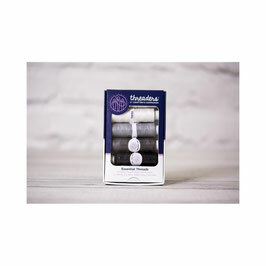 Within this pack you get 2 of each in white and black, warm grey and cool grey.